Just got this, which just makes it all worth while. Tina Thomas commented on Reviews. 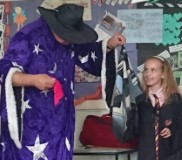 Magic Bob provided superb entertainment, continuously for two hours at our children’s Baptism celebration with table magic, a stage show, plate spinning, party games and a disco. 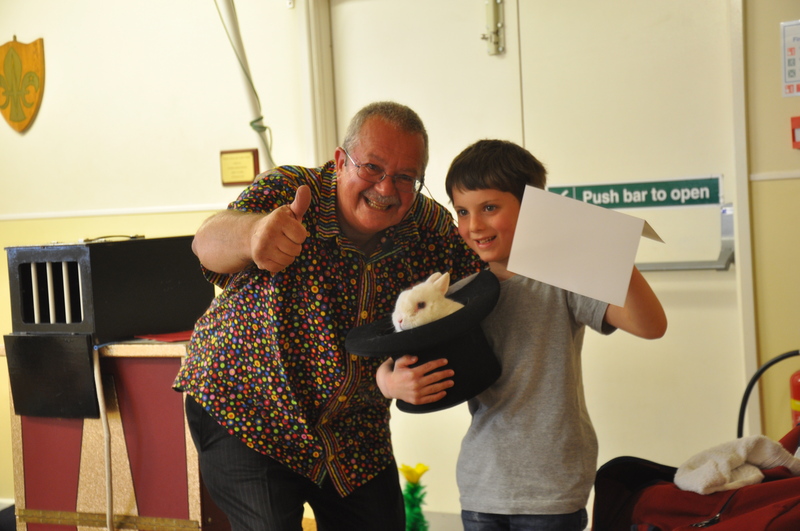 Both children and adults were kept entertained and were in awe of Magic Bob’s tricks, which were just brilliant! Our Daughter is still in amazement, still asking ‘how did he get that real fish’! Families were brought together at the end to play some great and original party games. Thank you for making our day extra special! 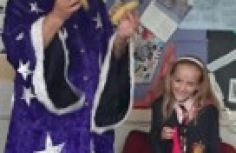 We would highly recommend Magic Bob, having been to many children’s parties over the years, he is without doubt the best that we have seen! Just received a nice review from Claire Foxwell for Arthurs Birthday and she sent me a picture as well. Happy Days.This is her Review. I booked Magic Bob after reading his excellent reviews for my sons 7th birthday party. I liked that he would take care of everything and entertain the children for the full 2 hours which he did wonderfully. 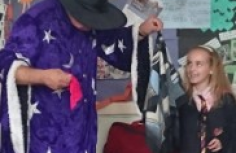 His magic tricks were world class and it was equally enjoyable for the parents that stayed at the party for which they all gave very good feedback. 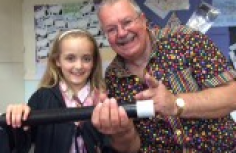 Everyone got involved and Magic Bob is a lovely, warm and professional performer. It’s definitely a party we will all remember forever (and it was my father in laws favourite ever)!. Thank you Magic Bob and a happy birthday to you too! Just had a picture sent to me of the birthday girl. What a great show here is the review I had from Tamsyn. My daughter thoroughly enjoyed her 8th birthday party. 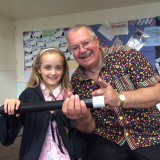 Magic Bob gave her a magic themed magic show and mesmerised children aged 5-11 throughout. Many children have since told us it was the best party they ever went to and our daughter (initially very shy to get up with Bob soon found her confidence as Bob encouraged her) was absolutely delighted with the whole experience. Have booked him before and will book him again.